Oh, the dreaded eye allergies. If your eyes are overly sensitive to perfumes, dust, pollen, pet dander or other common allergens, you’ve probably become all too familiar with the pain and discomfort of allergic conjunctivitis: red, itchy, watery eyes, and maybe the occasional swollen eyelid or two. 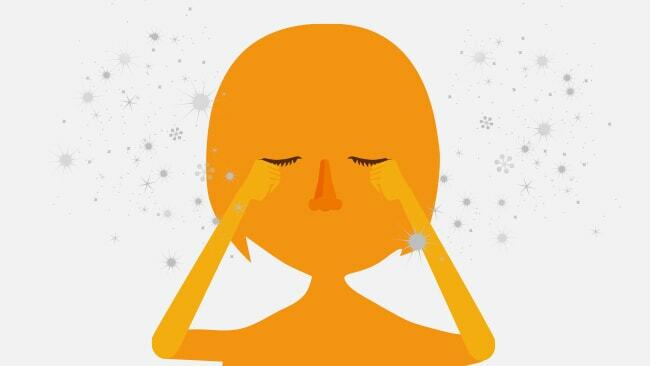 But, don’t think you have to put up with your itchy eyes—there are ways to fight back. If you wear contact lenses, these can trap allergens like pollen and dust right up against your eye. That’s not good! Consider trading in your contacts for eyeglasses during allergy season. Use zippered plastic covers for your pillows and mattress to keep allergens out of your bed. If your symptoms are severe and you can’t avoid going outside during peak times for pollen, wear a mask and be sure you wash your clothes and shower as soon as you come home. And, dry those clothes in the dryer—not outside on a line where they can collect pollen! If you have pets, bathe them weekly to reduce airborne allergens, and keep them out of your bedroom to reduce exposure. Even the most careful allergy sufferers can’t avoid their triggers all the time. The good news is that effective relief is available. ZYRTEC® is proud to offer a broad range of products to make your eyes look and feel their best. Tablets and Liquid Capsules work quickly to tackle all your worst allergy symptoms, and last a full 24 hours. Eye Drops work in minutes, giving you targeted relief that lasts for hours. With ZYRTEC® you can get back to work, back to school, back to play — back to living the life you’ve been missing because of your eye allergies.